As we have reported here, DHS Secretary Kirstjen Nielsen has resigned and the nomination of Ronald Vitiello to head ICE has been withdrawn. 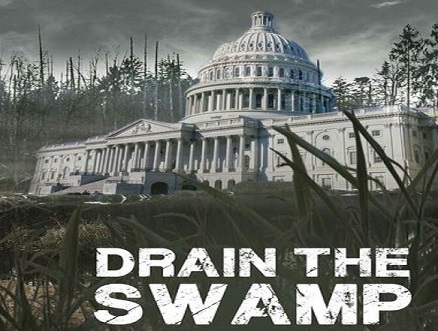 Both of these actions are seen as a toughening of the Trump administration’s stance on illegal immigration and the border crisis and at least some progress on Trump’s promise to “drain the swamp,” even if it is a part of the swamp that’s of his own making. What does this pivot signify and what’s next? Stephen Nelson reports today in the Washington Examiner that an unnamed “senior administration official” has indicated that these moves signal displeasure on the part of Trump and his more restrictionist advisers of the jobs being done by certain department and agency heads. Also mentioned was the failure of USCIS and its parent department DHS to craft new regulations. “DHS has not been able to get a regulation across the finish line — there have been no major immigration regulations completed by DHS in the past 2 years and 3 months,” he said. While Secretary Nielsen had spent a great deal of time vainly urging Congress to re-define the laws governing immigration and asylum, the administration believes that the focus should be on executive branch regulations, which ordinarily do not need the cooperation of the Congress (but may ultimately need the sanction of the judiciary). A major regulation change being considered is to expand the time allowed to detain migrant families with children longer than 20 days. That time constraint, set by the 1997 Flores settlement, has forced ICE this year alone to release thousands of illegal immigrants into the U.S., with little assurance of their reappearing on their court date. Any change to that regulation would doubtless end up in litigation, but the White House believes the policy would prevail in the courts. So, our huge federal government, filled as it is with contentious and/or incompetent officials in myriad offices, agencies, departments, committees, bureaus, divisions, commissions, and judges chambers, fiddles and fumes, while our border and our laws are trampled upon. If ever a swamp needed draining. For more, see the Washington Examiner.